Chinese OEM -Meizu- has launched yet another smartphone called Meizu M5s. It runs on Android 6 Marshmallow, features a 13 MP rear camera + 5MP front facing camera. Meizu M5s is powered by an Octacore Mediatek chip, See full list of specifications and price below. Meizu M5s specifications. Meizu M5s released date. 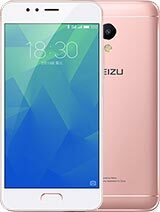 Meizu M5s price in India, China, Kenya, Nigeria.